Continuing to build trust with our customers with our technological expertise and human resources. These are the sources of growth at Yamamoto Seisakusho. Ever since it was founded in 1967, Yamamoto Seisakusho has done its best to steadily deliver products that are a perfect match for the needs of its customers as one of the leading fineblanking companies. As a company that has fulfilled its mission for many years and continued to maintain the trust of its customers, we are proud of our technological expertise that helps us open the future and for our human resources that are the result of our education program. In addition to our four domestic facilities (Head office plant,Head office second plant, Yamagata plant and Ena plant), we have also established Yamamoto FB Engineering, Inc. in Kentucky in the United States. We produce high precision, pressed parts, mainly with the latest fineblanking machines, with very little deviation in specifications. In addition to providing a stable supply of high quality products, Yamamoto Seisakusho is also focusing on reducing delivery times. By consolidating every part of production from receiving orders, designing dies, mass production and to delivery of products, and increasing the speed of communicating information between our facilities, including those in the United States, we are able to greatly reduce our delivery times. We hope to remain a leading company in the fineblanking and pressing die fields by maintaining an environment in which all of our employees can demonstrate their abilities in safe and secure conditions. A system for the best quality and thorough daily control. Based on ISO 9001 (Quality Management Systems) which it was certified for in 1999, Yamamoto Seisakusho focuses its efforts on making systems that can produce superior products and thorough daily control. When starting the production of new products or modifying products, we confirm and verify all aspects of the conditions concerning the product. In this way, we are able to produce the highest quality products that our customers demand. Developing professionals with abundant creativity and flexibility. Increasing our competitiveness to maintain the solid trust of our customers. 1967 Founded Yamamoto Seisakusho, Inc.
1969 Expanded the automatic press working plant and started the press working. 1971 The introduce a transfer press machine and concentrated on the business of the automatic press working. 1973 Developed the broaching system by the press machine. 1976 The introduce a wire EDM(Electric Discharge Machine), and Promoted the NC(Numerical Control) machining for the Press dies and expanding the sales of press dies by the Specialized business organization. 1977 Equipped a multi-forming machine and expanded the plastic working field. 1978 Moved to the present location in Higashimatsuyama Industrial complex. Changed the organization from a limited company to a corporation. And increased the capital to 30,000,000 yen. 1979 The introduce ESSA's 250t fineblanking press machine with the development of the fineblanking press dies, and advanced into the new field of pressworking. 1983 Expansion Feintool's 400t press machine. 1986 Expansion Mori IronWork's 250t and KawasakiYuko's 400t fineblanking press machines. Total seven fine-blanking press machines were available. The introduce a NO.4 Jig-grinder made by Mitsui Precision. And a temperature-controlled room at the same time construction work completed. 1994 The introduce Japan's largest 1200t fineblanking machine in the head office plant. 2003 Established Prototype Development Technology Center with Nippon Institute of Technology inside the university to make use of IT. 2006 Ena Plant Second expansion. 2008 Terminated joint reserch and development with Nippon Institute of Technology. 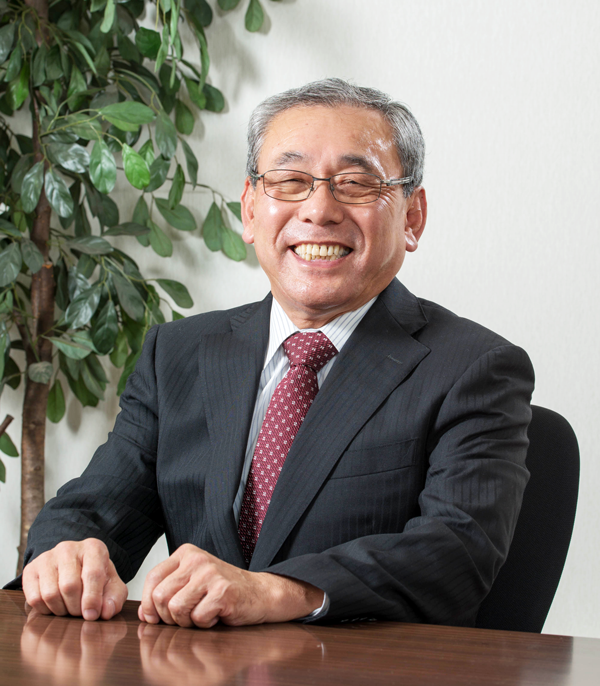 2015 Appointed Yoshikatsu Ohmori as President.